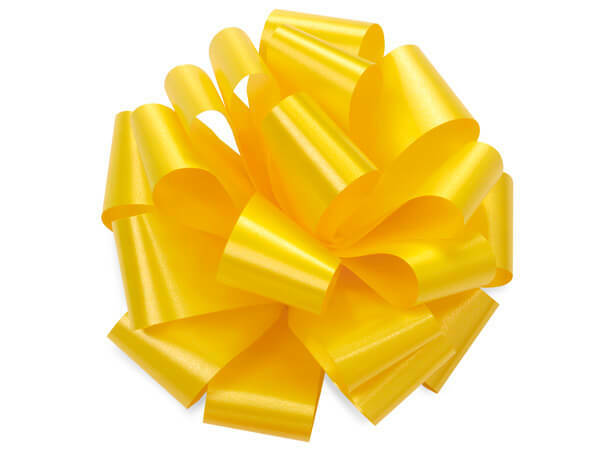 Daffodil Pom Bows are made from 100% polypropylene ribbon that is 1-1/4" wide and makes a 5" bow with 16 loops. Coordinates with our Poly Ribbon. Easy peel & stick! Made in the USA. Many popular colors available and come with self adhesive backing for easy use. Bows are available in our pre-packed Christmas assortment. Made in the USA. The BH5 is 5" made with 1-1/4" poly ribbon. Packed 1 color per carton of 48.